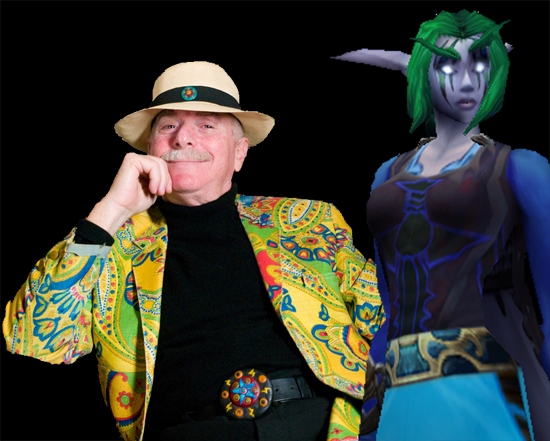 Image: Howard Rheingold and Elsheindra, Michelle’s World of Warcraft character, together at last. Howard Rheingold contacted me in September to interview me about World of Warcraft and learning, because he knows I’m researching communities and learning in World of Warcraft. We were finally able to meet up today for the interview. He is working on a book about the kinds of skills people need for life online. His first question was: What kind of collaborative skills have I found to be valuable from World of Warcraft?